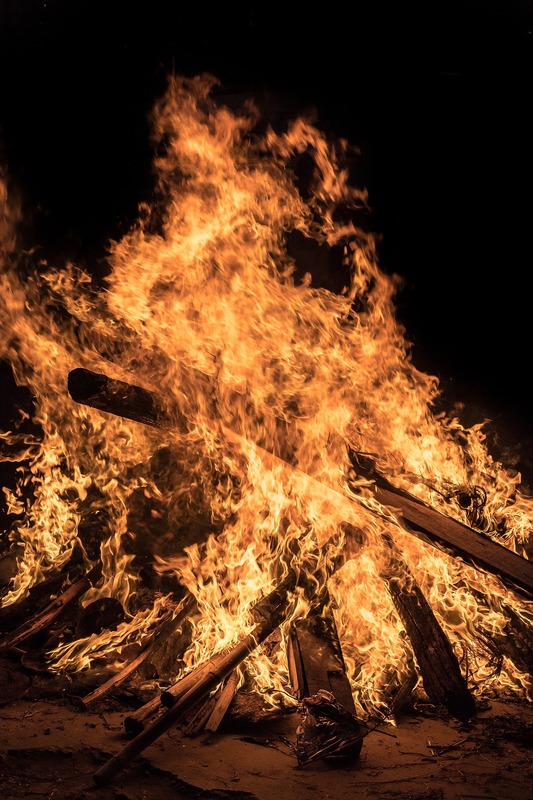 The Feast of John the Baptist, which takes place around the summer solstice, around June 21, is a festival traditionally accompanied by great bonfires. It has been revived in Bergues since 2005, by Les Baladins du Groenberg association, in partnership with the association “Patrimoine en lumières” Heritage in Lights. This was an opportunity for them to stage several highly appreciated shows: "Bergues, d'un siècle à l'autre" Bergues, from one century to another, "Si le Beffroi m'était conté" If I was told the belfry on the occasion of the 50th anniversary of the reconstruction of the Belfry, to reach the show proposed in 2017 "Les congés au fil du temps” Holidays through time. With the participation of “Patrimoine en lumières” Heritage in lights and Troubadours of Gravelines, the Baladins present the everyday life in Bergues, throughout the 20th century.